Purchasing a mobile involves two main things – which one to buy and from where to buy. At NDTV Gadgets 360, we have an answer to both the questions. With new models of mobile phone being launched almost every day and new companies and brands coming in, the decision to buy mobile phone is becoming tougher. NDTV Gadgets 360 is India’s biggest technology news website and we have the latest news and updates on mobiles, our expert reviews and ratings, detailed information on product specs and features will help you in zeroing down on the phone which is best for you to buy. And now with the launch of NDTV Gadgets 360 online shop, you don’t have to think from where to buy your next phone. 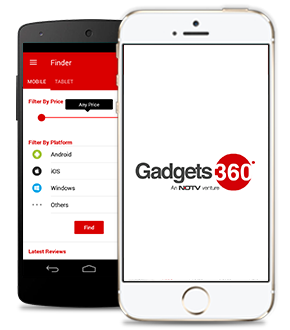 NDTV Gadgets 360 carries forward the legacy and brings with trust and expertise to provide you an ultimate mobile shopping experience online. You can buy the latest and popular mobiles from LG, Apple, Samsung at the lowest price available on best offers, deals and cashback offers. Payment Options Mobile Phones can be bought easily with various options available from EMI, COD (Cash on Delivery), Net Banking. Payment can also be made through Debit and Credit Cards.